Carven Exhaust Systems are handcrafted, built from stainless material assembled with tig welding processes and are engineered to maximize performance. All Carven Exhaust products are proudly made in the USA. 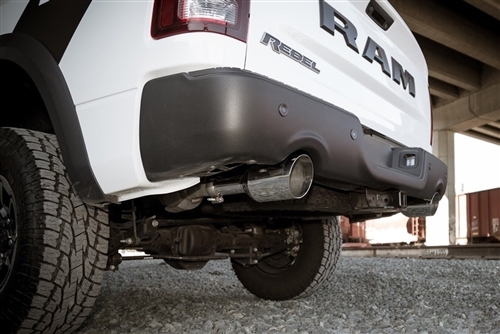 The Ram Truck "Competitor Series" Kit produces a aggressive sound at idle and cruising. Moderate(varies) in-cab sound while cruising. This kit is equipped with the Carven R-Series Performance Muffler that unleashes 8hp & 23tq, and includes a pair of bolt on Carven 5" Polished Exhaust Tips.